As spring and summer storms start rolling in it can be helpful to learn more about the weather and rain. 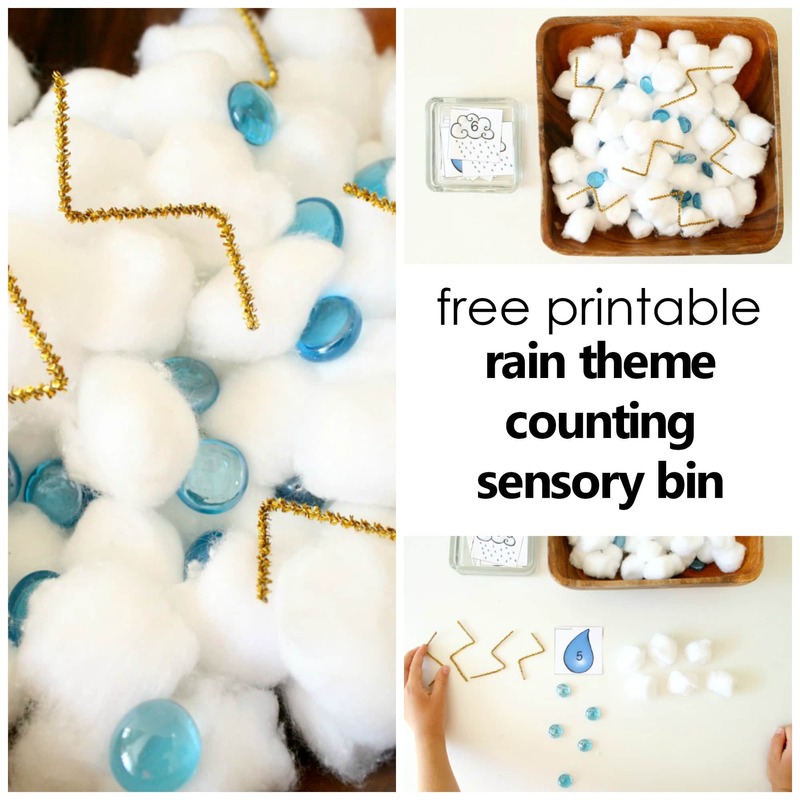 Set up this simple rain sensory bin for toddler sensory play, or add in our free printable rain counting cards to extend the idea and work on counting and number sense activities with preschoolers and kindergarteners. 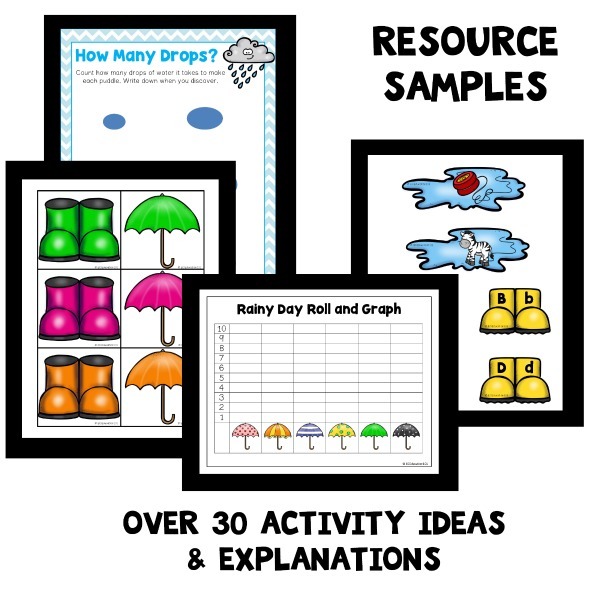 FIND EVEN MORE PLAYFUL LEARNING IDEAS IN OUR PRINTABLE RAIN THEME AND LESSON PLANS. 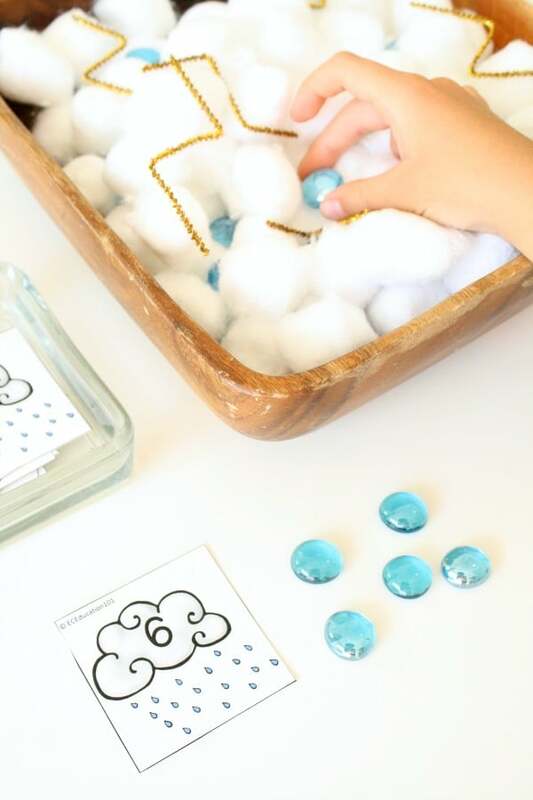 For toddlers set up the sensory bin as an invitation to play and explore different textures. 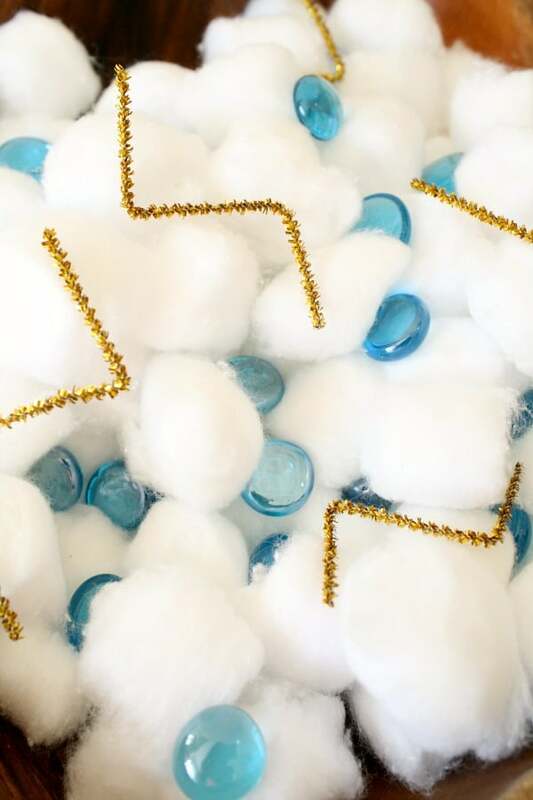 They’ll work with the materials in a variety of ways. 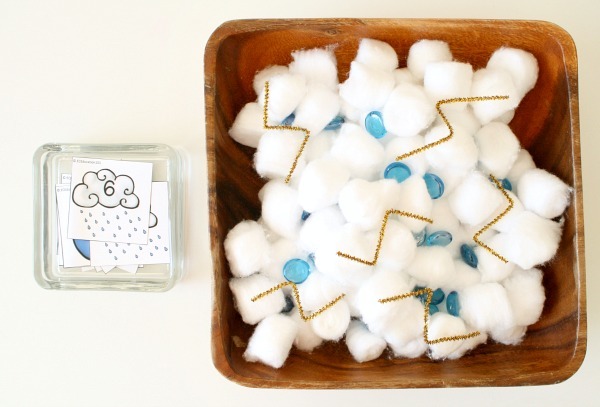 You’ll likely notice them lining items up, sorting them, and beginning to make patterns. 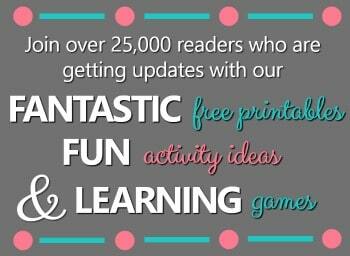 For preschoolers and kindergarteners add in the free printable number cards. 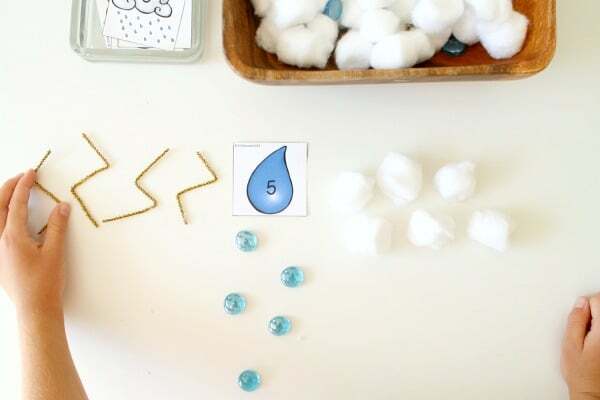 In small group or indpendently, kids can count out sets of items to match the number card. As they do so they are working on number recognition and making sets. 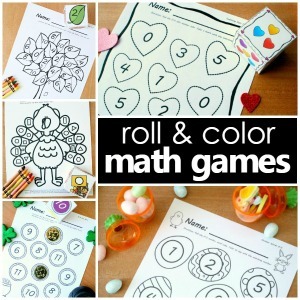 For kids who are ready to extend the activity you can incorporate number sense by having them identify the number that is one less than the number on the card and making a set to match that number. Then identify the number that is one more than the number on the card and make a set to match that number as shown above. 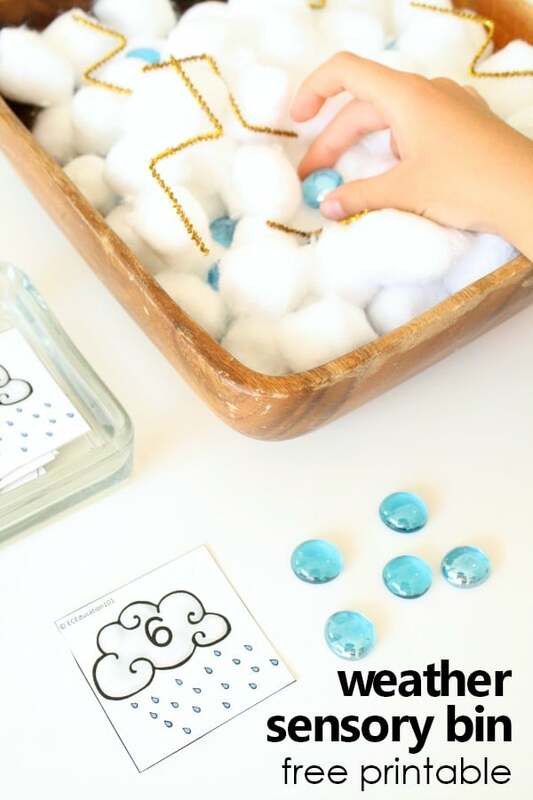 Get a full week of playful rain theme learning ideas!